[Halle/Potsdam] In Halle bereiteten sich die Goldfingers auf ihren Einsatz in der zweiten Liga der deutschen Meisterschaft vor. Masturbine testete ebenso. 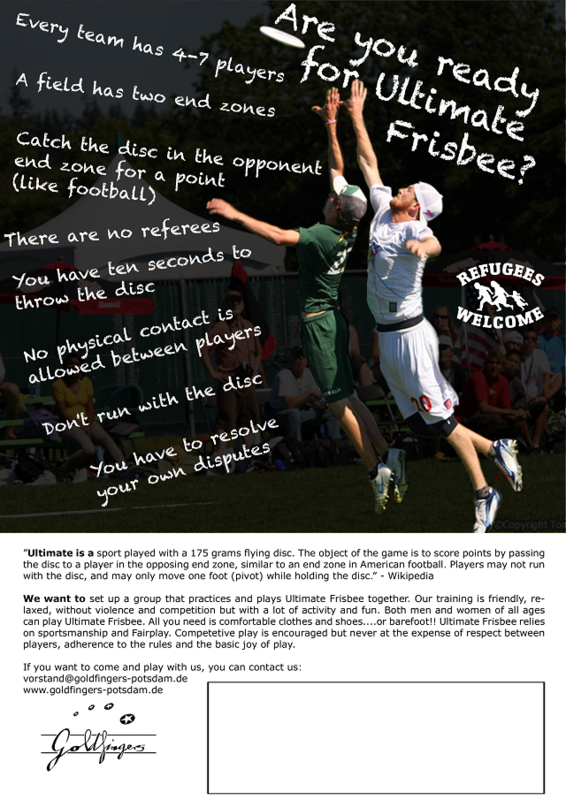 We want to set up a group that practices and plays Ultimate Frisbee together. 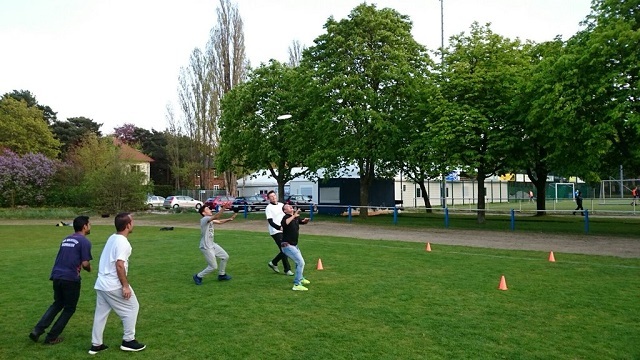 Our training is friendly, relaxed, without violence and competition but with a lot of activity and fun. 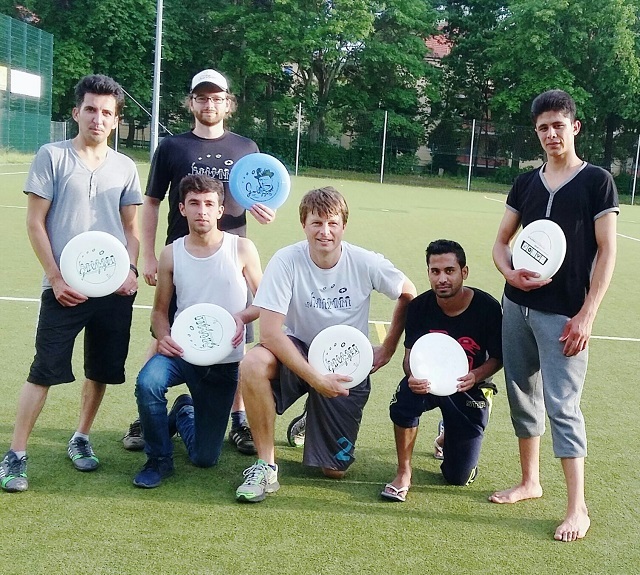 Both men and women of all ages can play Ultimate Frisbee. All you need is comfortable clothes and shoes....or barefoot!! 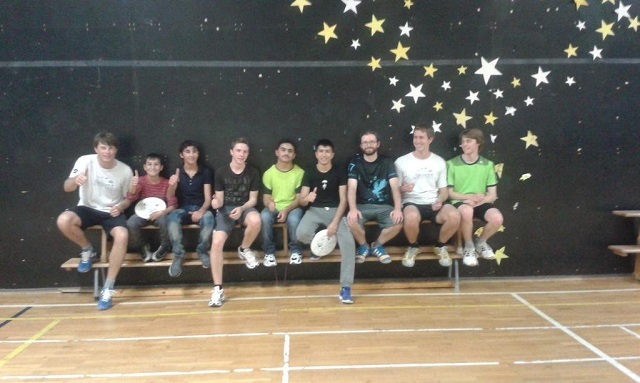 Ultimate Frisbee relies on sportsmanship and Fairplay. Competetive play is encouraged but never at the expense of respect between players, adherence to the rules and the basic joy of play. 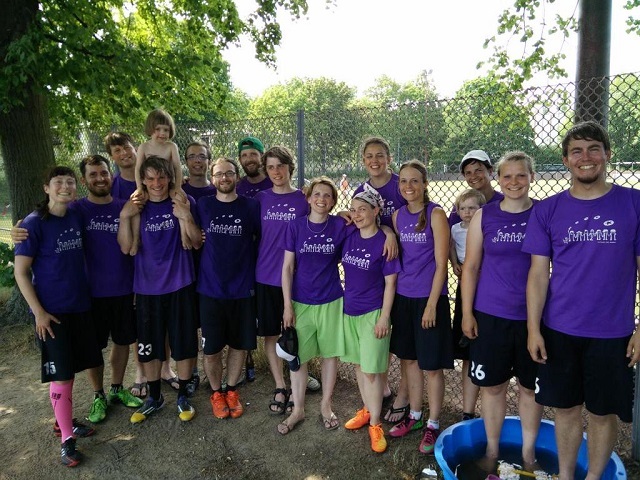 [Berlin/Potsdam] Am vergangenen Wochenende erreichte das Mixed-Team der Goldfingers den 7. Platz der zweiten Liga.